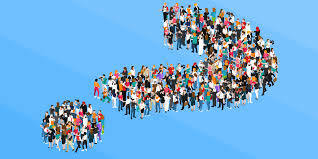 ​Sociology is the study of society, relationships, social interaction and culture. It is a social science which uses various methods to understand the world in which we live. ​Sociology is of great importance in the solution of social problems. The present world is suffering from many problems that can be solved through the scientific study of societies. Sociology enables us to question the world we live in and helps us become more accepting of our diverse and multicultural society. "History is the study of questions; the study of answers belongs to Sociology."